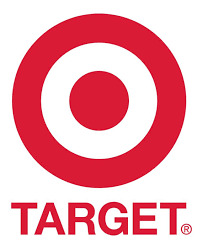 Money Saving Mom has a user-friendly list of deals running at Target this week. Click here to view them. There’s lots of free stuff right now but do note that some of our prices are often higher than other regions in the country. Deals may not be as good here. I was successful at the Tanasborne Target on the Softsoap deal! I used two manf. coupons and two target coupons and also got the $5 gift card. Make sure you select from the endcap display in order to get the gift card. the softsoap deal is advertised and on an endcap at my pdx target (if you read the comments at the end of this link you will find it is not working everywhere). i have not tried to combine it with the qs yet, but when I do I am going to try one target IP, and one from the target mailer b/c I have learned you can't use two target ip qs for the same item in the same transaction (and it needs to be the same transaction to get the $5 gift card). Target has Dove Body Wash on clearance for $1.98. It even has a bonus sample attached to it. I used my $1.25 MQ with it and got it for $.73!